Ride to Skate has become an unofficial start to the riding and event season here in the northeast. As with previous years, guys worked all winter to get their builds up and running by mid-May for the big reveal. Nothing provides a better backdrop than South Philly’s own FDR Skate Park. 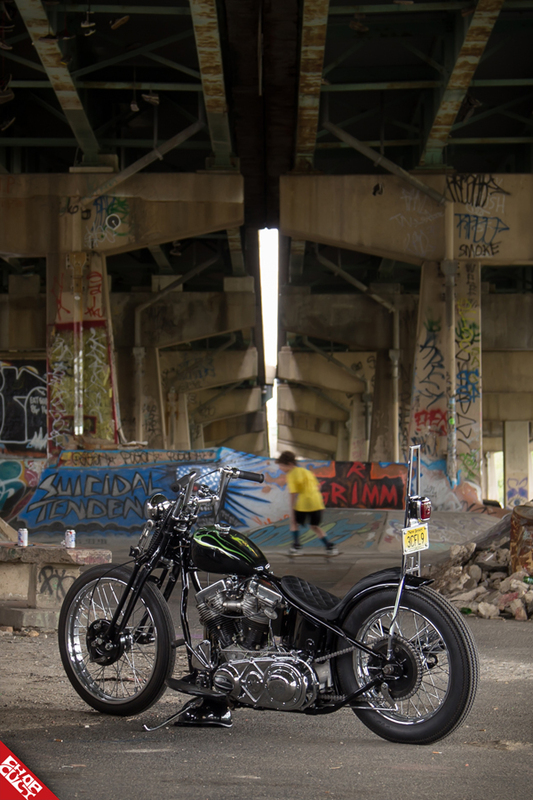 Situated right under the I-95 highway overpass in historic FDR State Park, it was designed and built by skateboard enthusiasts and provides a serious challenge for all skill levels. The central location makes it a nice ride from southern New England, New York, New Jersey and the Baltimore/DC areas. Not only is Ride to Skate a chance to show off all your hard work from the winter, it’s a great place to hang with old buds who you haven’t seen for months. With no real show, contest, or agenda, it’s the perfect place to ease into the riding season. Bikes start rolling into FDR in the later part of the morning and by mid-day, the otherwise quiet park is filled with the sounds we all know well. I asked long time RtS organizer Joe Zito, of Zito’s Vintage Cycles in Gloucester City, NJ, a few questions about the event. For those who have never attended, can you give a brief description of the event? 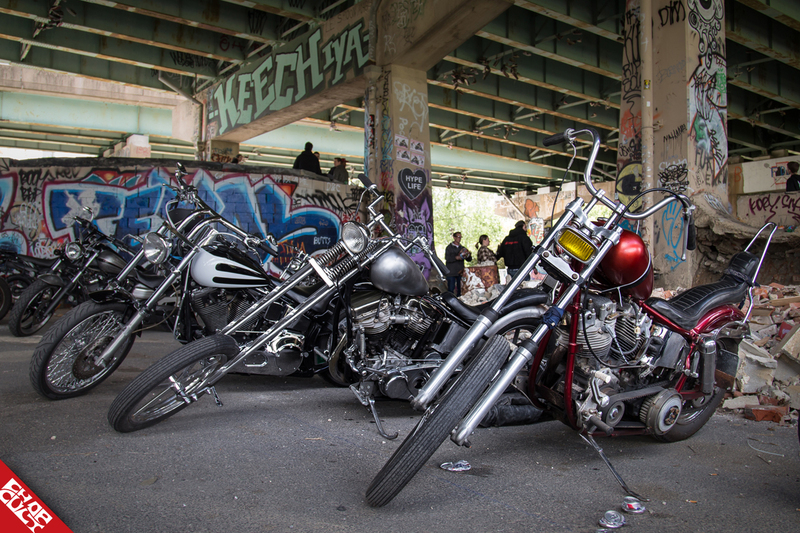 Ride to Skate was a motorcycle gathering at FDR Skate Park in Philly. 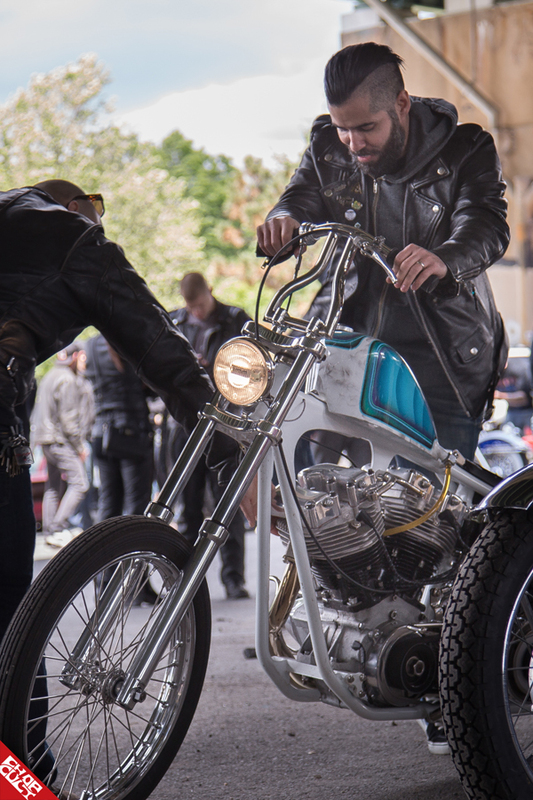 The event has always been free and has been based around custom vintage bikes. There were never any restrictions. All bikes and people have been welcome. It's just a day to hang out, see what friends have been building over the winter, and to get the chance to skate one of the greatest skate parks in the world. Any truth to the rumor that this was the last RtS? Yes, this was the last one. Ultimately, what was the factor that made you decide that this was the final year? 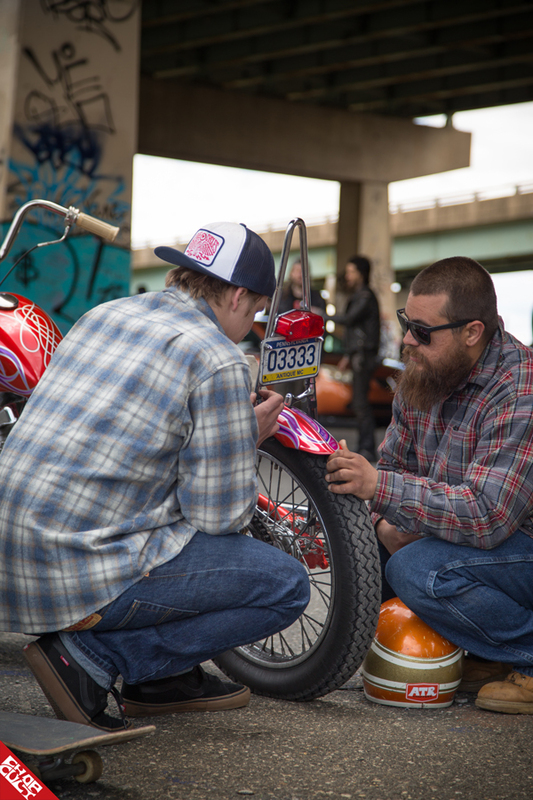 When I started this event, there was barely anything going on that was based around the type of bikes we dig. Now there is something going on every weekend. This event has been great and I feel that 10 of them is plenty. Any possibility of handing the event over to someone else or bringing it back in a few years? No, but I encourage folks to throw their own parties and events. Event planning is stressful and no matter what, someone will complain about something, but it is really rewarding to stand back and look at a couple hundred people and rad bikes and see that everyone is having a good time. What will you miss most about Ride to Skate? I will miss seeing my friend’s projects in the daylight for the first time. Everyone usually busts their asses to get their bikes done in time. I will also miss seeing the folks that have come to every RTS since the first one. Any plans to organize other events? No. Event planning is not as fun as building and riding bikes. I started racing vintage hare scrambles this year on an old Triumph and I really enjoy it. I am more than stoked to come to other people's events though. Anyone you’d like to thank? Mike Clarke, Mike DeFonzo, Jason Sides, Bill Quigley, and Bill Jenkins. These dudes have been close friends of mine since the beginning and have always been down to help with RTS. I also need to thank anyone who has ever come down to RTS. Without folks riding cool old bikes down, the party would have been lame. Big thanks to Joe and his crew for all the hard work in planning this event over the past ten years…it will be missed by many! Good shootin', Dan! Thanks to Clarke and Zito for the hard work over the years.